Do you want to know how your business can score a home run? Earl Bell, successful businessman, entrepreneur, and Little League coach is just the coach you need to take your business to the Major Leagues. Now for the first time, Earl Bell reveals his coaching secrets in Winning in Baseball and Business, a book that uses metaphor to show that everything you need to know in business you can learn from lessons in youth baseball. 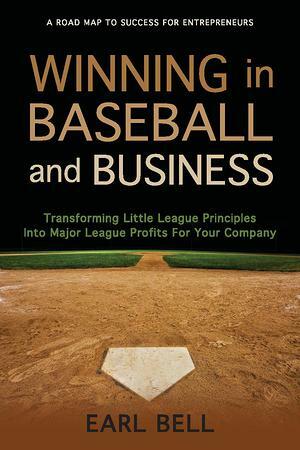 The book is divided into two sections—the first about Little League, the second about how to apply baseball principles to your business. Earl’s love of both games—baseball and business—shine through as he talks about strategies, goals, how his Little League team achieved hall of fame results, and how you can do the same for your business. As an added bonus, twenty stories of successful entrepreneurs from teenagers to historical business icons are included as inspirational models. After reading Winning in Baseball and Business, your game will never be the same.